On Oct. 3, 2017, Pueblo and Cholla High Schools collaborated for the “Many Faces of Action Conference: A Student Action Forum”, a chance for participating students to learn about their rights, speak up about issues they cared about and overall, feel empowered. 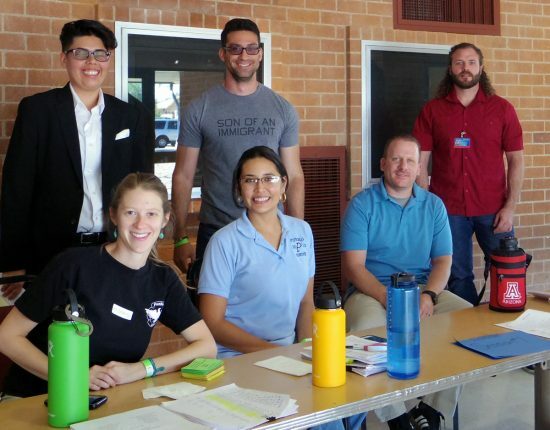 Additionally, two science teachers (Dr. Andrew Lettes and Ms. Elizabeth Raizk) held workshops to educate students about Valley Fever and environmental racism, respectively. The conference lasted for an entire standard school day—8 a.m. until 3:15 p.m. Early on, participating students were welcomed accordingly and later divided into three groups (pink, yellow and green) that would direct them to different workshops around campus. 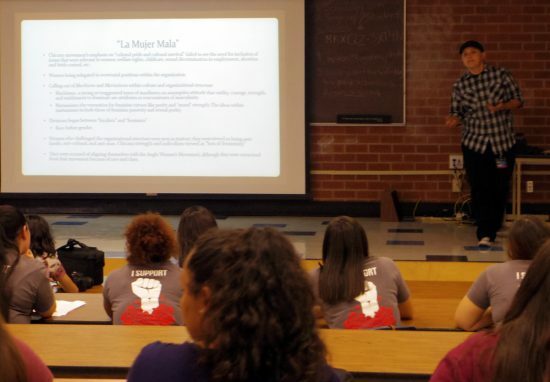 Many Pueblo students left the conference with a deeper comprehension of political and social issues that affect them in their lives. 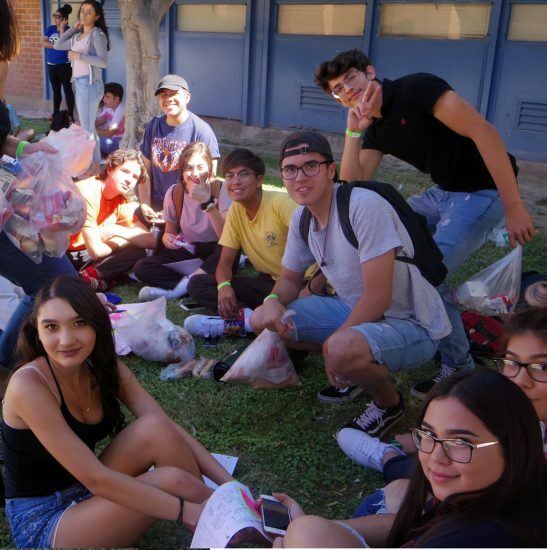 “I learned that there are many ways for the community to come together for a problem everyone has but doesn’t see,” said Liam Membrila, a senior. “I feel more confident in ways I could get involved because I’ve wanted to help with the issues going on but I was confused and now I feel a lot more prepared,” said Jacquelyne Acuña, a junior. “A lot of ‘DACA’ students are struggling, and we need more support and people to be aware. I see how I am more fortunate, and I’d like to give more people that opportunity,” said Gerardo Arzabe, a senior. On behalf of Pueblo High School, a special thanks to the following people and organizations: Mr. Frank Armenta, Ms. Dominique Calza, Mr. Salo Escamilla, Ms. Maria Federico-Bummer, Mr. Richard Gastelum, Mr. Maurice H. Goldan, Ms. Sarita Gonzales, Mr. Enrique Garcia, Dr. Andrew Lettes Ms. Elizabeth Raizk, Dra. Andrea Romero, Dr. Augustine Romero, Mr. Bryant Valenica, Calpulli Teoxicalli, Cholla High School, LUCHA, LUPE, Tierra y Libertad Organization. Next Next post: And Another Gunnels Makes Four!